Governor Cuomo of New York has declared a statewide ban on fracking. 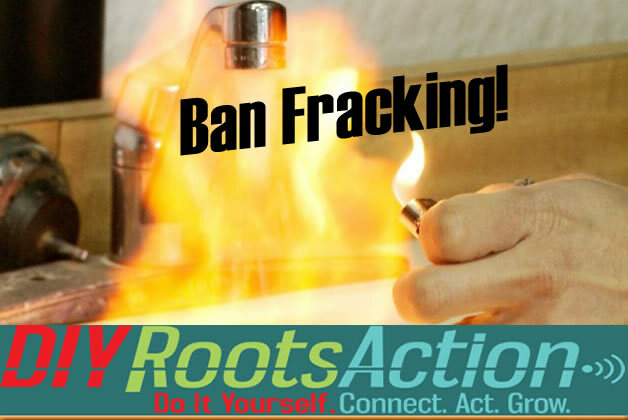 Local citizen-led initiatives in Ohio, Texas, New Mexico*, and California have banned fracking. Communities across the United States and world are saying NO to this environmentally disastrous method of extracting fossil fuels from the land. Email your governor and state legislators. I support banning fracking everywhere. 24231 4.2 years ago Michael Wilson Portland, OR , US Fracking is a crime against Nature. It attacks the natural balance of the planet we live on. Its effects are immediate and long lasting. It is unsustainable. 24226 4.2 years ago Barbara Crow Moulton, AL , US There is absolutely no question in my mind that fracking is very, very bad for groundwater, the environment, air, streams, human and animal health. Every state should ban this horrible practice. 24223 4.2 years ago Antonio Rodriguez Pomona, CA , US Enviromental destruction in the name of outdated energy system. We deserve much better than hidrocarbon fuels, polutants all over. Do not frack mother earth any more. 24221 4.2 years ago Meghan Olafson Federal Heights, CO , US It should go without saying, however fracking is poisoning everything near it. It is time to say goodbye to poisons and find a new way to meet our energy needs. Starting with conservation. 24210 4.2 years ago Bruce Berger Aspen, CO , US Fracking is an intrusion on our lands for a bridge fuel to nowhere. National Geographic: Could New York's Fracking Ban Have Domino Effect?